Presenting my own personal #BedPolice, Dr. Deanna Attai. Her interview is spot on and hits all the most important points. 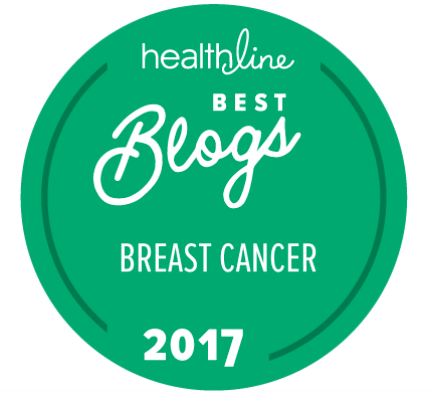 This is a great addition to breast cancer EDUCATION month. If you don't have 15 minutes to listen now, bookmark it. 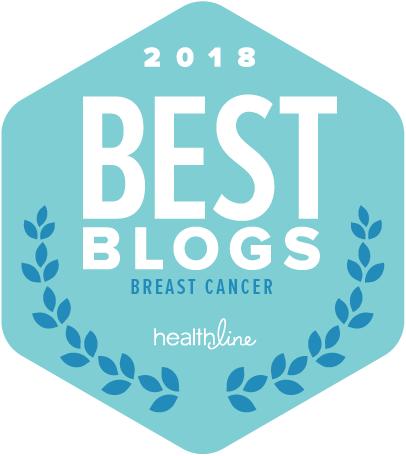 Dr. Attai on everything: knowing what to look for before hitting the panic button, how to deal with a diagnosis, buying pink (including respect for the history of the ribbon) AND ways to donate for maximum impact. Hint: It's not all about money. Please share her Santa Clarita TV interview with as many people as you can. The You Tube link can be found here. The video is embedded below. It's been hard to keep up with writing while simultaneously attempting to use this time to help change the message. THAT message. The October thing. I've asked a few people to help me out, to keep it real and today's post is from a man I met on January 26, 2012. 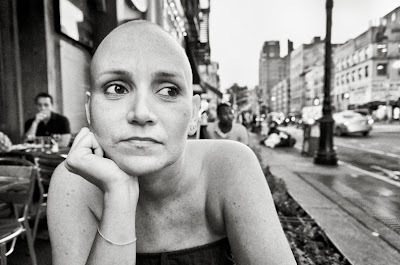 That January evening, we met because I felt compelled to bear witness to the reality that is metastatic breast cancer. I was there to support a member of the MSK family. I was there to see Angelo's photographs of his life with his beautiful wife, Jennifer. It would be months before we would become friends. Angelo Merendino has found his way into the hearts of so many. There have been those who wish to criticize what he is doing and to those I say, if you've not walked the path, don't be so quick to presume you understand and I question anyone who feels they have any right to pass judgment. Angelo's labor of love to honor Jen's memory is among the purest acts I have ever seen. His book is Jen's legacy and a testament to the depth of the love they shared. That love transcends all and that love comes through every page of the book he has published. Theirs is one of the greatest love stories ever. It is the epitome of what it means to commit to another person with one's whole body, whole heart, whole soul. I hope you will take a look at what Angelo has chosen to do in launching this book. He understands the challenges and with the sale of his book, The Battle We Didn't Choose Angelo hopes to help others navigate those challenges by easing some of their burdens. The Love You Share is an extension of their love to others faced with similar circumstances. This is what the aftermath looks like, in his own words, on his 40th Birthday. I am so grateful that Angelo has offered to share his innermost thoughts and feelings on this day. Angelo, on behalf of all of the thousands who support you from all around the globe, I wish you love and a heart that you will, one day open again, as Jen would have wanted, and as you share here. Thank you for allowing me to honor Jennifer's memory by writing this post. I support all of your selfless efforts to touch the lives of others by sharing your story. Most of all, I send you love. A 40 year old widower. Huh? Today is my 40th birthday. Saying that is almost as strange as saying I am a widower. Put them together and you get a sentence that I still can't believe to be true - I'm a 40 year old widower. Huh? My late wife Jennifer was diagnosed with breast cancer in February of 2008, just five months after our wedding. 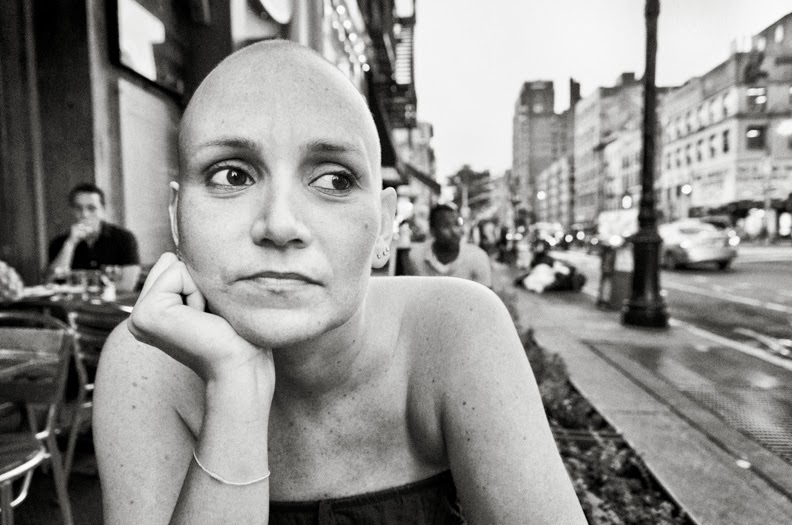 I'll never forget the sound of Jennifer's voice coming through the phone as she told me she had breast cancer. I was numb immediately. I'm still numb. Before that moment, the furthest thought from my mind was that I might be a widower before I was 40. Suddenly and without warning we were thrown head first into the world of cancer. Our life turned into a maze filled with Dr. appointments, medical procedures, medications, and side-effects. We were adapting to changes, often daily, that offered no road map, played by no rules, and had no sympathy. We felt different from most everyone else in our life. On December 22nd, 2011, my sweet Jennifer passed. Since Jen died I have struggled to put my life back together and to figure out who I am. For the most part I have felt lost. Everything is different now. While Jen was sick I was so focused on taking care of her that I forgot how to take care of myself. Add to this the fact that everything I thought I knew and believed in has been completely leveled. The last 22 months have been a blur. 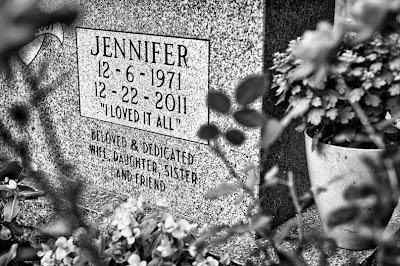 A few weeks before Jen died she told me she didn't want me to be alone and unhappy. I remember wanting to interrupt Jen as she started to say this. Then it hit me - Jen needed to tell me and I needed to hear her. I listened and after she had told me everything she was feeling I thanked her, and we never talked about it again. I still can't imagine what it was like for Jen to tell me, her lover, that she wanted me to find someone else one day. Even today the thought turns my stomach turns into knots. The thing is, Jen had an idea of what I would be going through. Jen was a widow and when we started dating she was concerned that I might not want to date her because of all she had been through. Now I understand why Jen felt this way. Jen and I were best friends. We shared everything and never let go of each other's hand. If I ever re-marry, I want a best friend again. I want that trust. Best friends talk about things, like defining moments in their life. Can I expect a woman to love me and be able to listen when I talk about Jen? It isn't like I'm going to talk about Jen over every dinner but I can't put Jen away, she is a part of everything I do. I am the man I've become because of Jennifer. Lately I've been thinking about dating and I feel guilty. I know I'm not doing anything wrong but it's strange to think of all the things I've learned through our experience together and how these things will influence my behavior in and expectations from a relationship. I feel like I will listen more, give more, and be more. Is it fair that I've grown as a result of Jen's illness and death? Am I selfish to admit that I appreciate life and everything in it so much more because Jen took her last breath on me? Even as I write this I think, "If a woman dates me, she is going to have her hands full." I will say that I feel better today than I did a year ago, but there are moments when I feel like crawling under a rock and never coming out. It still hurts like nothing else I've ever known. Even though Jen told me she didn't want me to be alone I still can't imagine how I will love someone else. I know I can just look back at our life together - Jen found love again with me, and although our star didn't shine long it did shine bright. These were the greatest years of my life. But how do you say goodbye to someone you don't want to let go of? Last October, a friend I know through social media and have since met in real life was telling me about her son. They were on a mini road trip. They passed a vehicle with one of those pink magnets on the back. The (then nine year old) announced to his mother, that this whole gig was all about having swag. Of course, she shared the story with me and I have wanted to write about the fact that even young boys understand the ribbon is over-hyped. His mom did the honors of sharing a conversation she had with both of her sons as the pink haze continues to cloak the globe. When you're a 10-year-old boy, the world often seems to have the most clarity it ever will. And your wisdom is beyond your years. A young man I'm very familiar with has a unique perspective on what he considers "swag." You know, the freebies. The stuff that's given out to make you remember a brand and then use it to impress your friends. In this case, the brand is breast cancer. His latest observations focus on the NFL's use of hot pink accessories like pink wrist bands, pink cleats, pink towels, and pink padding on the goal posts. In his view, this physical swag leads to an attitude of swag, and that's what bothers him. "They are overusing it because now it doesn’t really mean anything. They are just trying to look cool. They wear it because boys don’t usually wear pink and so they wear it to look swag. Plus it’s free and it’s cool to not have to pay for it. At least I think it’s free. Is it?" This led to estimates. He thought a thousand or so, but after discussion, agreed with his brother that each NFL team probably spends $500,000 for breast cancer awareness swag. "They should only use the symbol on the field. The more stuff the players wear, the more swag they think they have." So … why does the NFL do it? "I think they're trying to tell people if they think they have breast cancer, they can ask a doctor about it. But that doesn’t work because people don’t know what all the pink is for." Not so says older brother: "It saved one life. The NFL had an ad, and a lady was watching football with her husband and didn’t know what all the pink was about. Her husband told her, she went to the doctor, and she had breast cancer." He continues, "I think that pink awareness stuff is overused and now people just use it to get more sales. Like Nike has breast cancer awareness Elite socks. Kids buy them because they look cool, but they don’t care about the breast cancer." 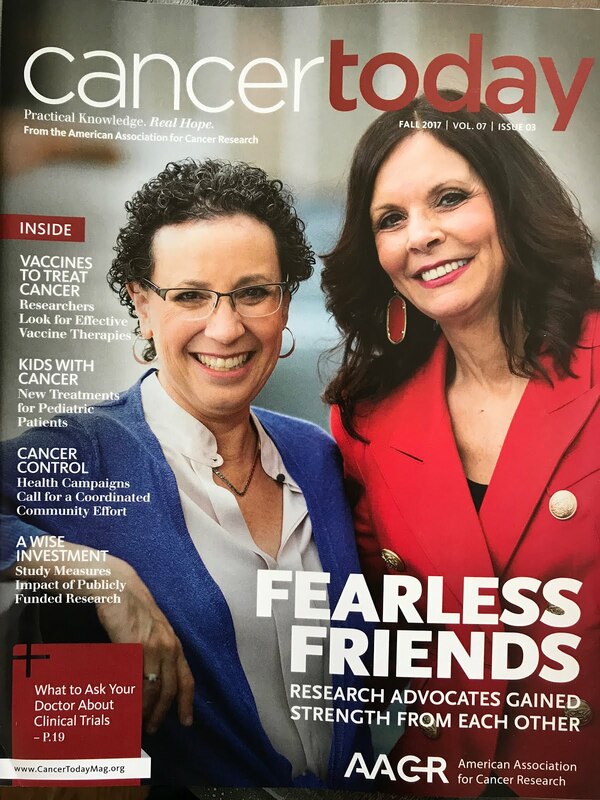 So how can the breast cancer advocates actually make a difference? Pink Nike Elite socks don’t save lives. They just look cool. There are times when things happen that simply bring me to tears. And there are times when I realize the power of social media is far beyond what I am even able to grasp. This is one of those times. Grace (Grazia, in Italian) is one of my global friends. And yes, I do mean friend. She is brilliant and young and trying to change the Culture of Breast Cancer back to the Disease that IS Breast Cancer by using her powerful voice and harnessing it through social media where she is having a global impact. 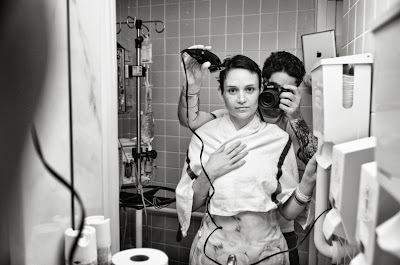 The New York Times is featuring Faces of Breast Cancer. I know I started to write when I saw it and then, I got distracted. That's typical. Whether it's a function of my distracted brain or it's truly because I have too many balls in the air, it doesn't really matter. I ALWAYS had too many things going on simultaneously. And they ALWAYS got done. On deadline, with time to spare. And accurately, too. Now. Not so much. My point..... I saw a message on twitter from Grazia to me sharing that "we" are in the NY Times. I know Grazia is hosting a screening of Pink Ribbons Inc in the UK on behalf of Breast Cancer Action. 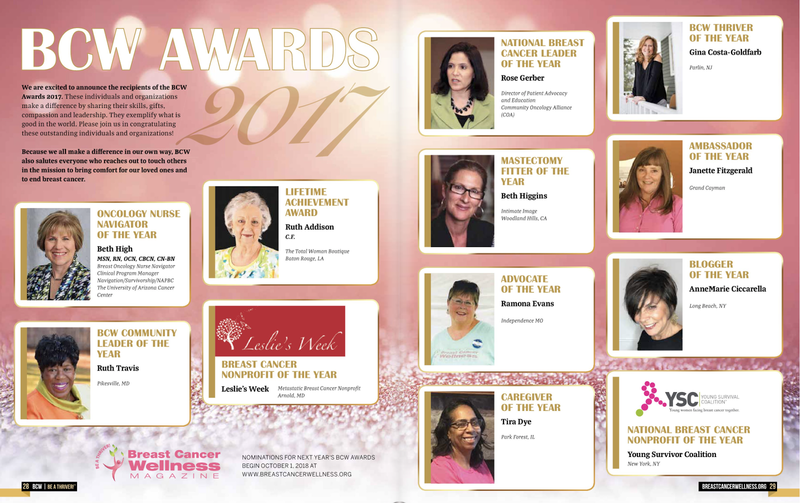 She is part of the Breast Cancer Consortium assembled by Gayle Sulik. She is determined to change the conversation. She is making a difference. Grazia.... I am so grateful for the gift of your friendship. I am so thankful we met. My life is immeasurable better because you are in it.